Of course, many of us have known this for a long time, but research is coming out more frequently to tell us how and why it is true. Certain sounds can lower your stress level, increase your creative focus and make you more productive! 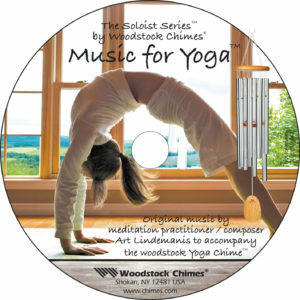 I’m often told that the music of Woodstock Chimes brings people joy and makes them feel peaceful, and I’m happy to say that we now have a new way to offer these beautiful sounds, even when there isn’t a Woodstock Chime or a summer breeze handy. Is Alexa in your life? If you own an Amazon Echo smart speaker device, I’m sure you’re familiar with Alexa Skills. 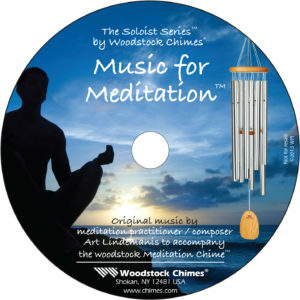 We’ve created two free Alexa Skills that bring you the ambient sounds of Woodstock Chimes or the peaceful music of our Soloist Series CDs any time you want. All you have to do is ask Alexa to enable “Ambient Woodstock Chimes” or “Woodstock Chimes Music.” To play Ambient Woodstock Chimes sounds, simply ask Alexa to “play wind chime sounds.” You’ll be treated to a loop of Windsinger and Magical Mystery Chime sounds. More ambient chime sounds will be added in the future. To play Woodstock Chimes Music, ask Alexa to “play wind chime music.” Alexa will play one of our four Soloist CDs at random. This music was composed to harmonize with particular Woodstock Chimes and is wonderfully relaxing. Of course, you can get more detail about both our skills from the Amazon Alexa app on your smartphone or on the Amazon website. When I get stressed out listening to the news too much, I simply put on some music and immediately feel a wave of relief come over me. Music heals! One fan of our Ambient Woodstock Chimes skill says it’s almost like being in her garden listening to windchimes. Another says she leaves it on for her dogs when she goes out! Many say it helps them to drift off to sleep at night. I hope our Alexa Skills add peace, harmony and sweet dreams to your life. Next stop, Google Home! FIVE Cool News Bytes from NEXUS!